"Nursery Crimes" at the Bissell Mansion Restaurant and Murder Mystery Dinner Theatre, runs January 11th through May 9th. It is an evening of "whodunnit" fun where the audience might be asked to be a part of the show, all enjoyed with a great four course meal. Performances are held each Friday and Saturday, 7pm; and Sunday, 2pm. See website for SPECIAL VALENTINES DAY PERFORMANCE! Reservations required. Call 314-533-9830 or 1-800-690-9838. 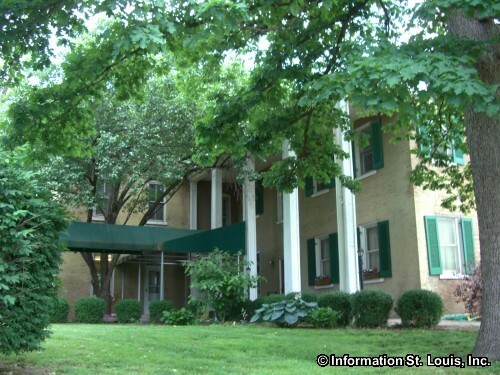 The Bissell Mansion is located in the College Hill Neighborhood of the city of St. Louis, Missouri. The Mansion was built by Captain Lewis Bissell in the 1820's on 1500 acres of land on the bluffs overlooking the Mississippi River. Captain Bissell lived in the home until his death in 1868 at the age of 79. Today the mansion is home to the Bissell Mansion Restaurant and Murder Mystery Dinner Theatre. The theatre puts on four different mysteries each year. The diners get involved by getting active roles in solving the mystery. Some say that one of the biggest mysteries at the Bissell Mansion are the ghosts who haunt the place! The Mystery Dinner Theatre is performed Friday and Saturday evening and on Sunday afternoon with a four course meal served in between the acts. Reservations are required and can be placed over the phone. The Mystery Theatre can also be reserved for private parties during the week. Directions: Located on Randall Place. From Interstate 70, take exit #247, Grand Avenue, and go south on Grand. Take the first left onto Blair Avenue. At the traffic circle surrounding the Bissell Water Tower, take the third exit onto Bissell Street. Turn right onto Randall Place.